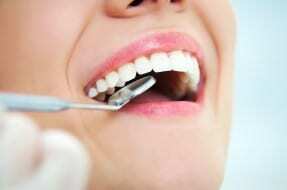 Most people think of going to the dentist to have their teeth checked and cleaned. They expect the usual advice, “keep flossing every day” and a quick scale and polish. In my experience, dental patients remain acutely unaware of the importance of gum health and the consequences of undiagnosed dental abscesses, tooth decay and gum infections. An undiagnosed dental abscess can cause a multitude of problems including pain, swelling, loss of appetite, inability to eat solid foods, jaw ache and tooth loss. At every check-up dental practitioners should not only be looking for dental plaque but also for abscesses, infections or signs of gum disease. There are two types of abscess, those in the tooth root and those in the gum. A tooth abscess can evolve from an infection in the tooth and is often caused by the death of a nerve in the root. This can be due to trauma, decay or even the placement of a deep filling. Once a nerve has died, infection is almost certain and most patients become aware of an abscess because it causes pain and swelling around that tooth. The second type of abscess is called a periodontal abscess and this is where the infection is based in the gum pockets around the tooth root. It usually occurs when the gum line allows for a slight gap where food particles and bacteria can accumulate. If this “pocket” under your gum line is too deep to clean by brushing and flossing, the bacteria will remain and cause infection. Although abscesses aren’t always symptomatic, they can be diagnosed if the dental practitioner is vigilant in monitoring the health of the patient’s dentition. Although a tooth abscess can be treated with antibiotic medication, the cause of the infection will often remain and therefore, as soon as medication ceases, a re-infection may occur. It is important therefore to treat the cause of the infection, for example by carrying out a root canal procedure. Periodontal abscesses will show up as an almost black circled area in the gum or a ‘halo’ around the tooth on an x-ray. Therefore, if a patient has presented to their dentist with pain and swelling to an area in their mouth, a radiograph will be able to confirm if it is an abscess and more importantly, where it is, so it can be treated. In some cases, an undiagnosed dental abscess can cause other rather more severe symptoms and if left untreated for a prolonged period, can cause fatigue, headaches, jaw lock and the loss of more than one tooth. Unfortunately, dental practitioners do not always carry out appropriate and thorough investigations into the health of a patient’s teeth and gums and therefore I have frequently been instructed to investigate cases of undiagnosed dental abscesses in situations where the patient has suffered pain and further injury as a result. For whatever reason a dental practitioner can give, failure to carry out appropriate investigations to safeguard a patient’s teeth is still negligent treatment. Understandably, the patients approaching us are frustrated to discover that their dentist, a person in whom they instilled trust and confidence, failed to follow simple steps that are expected of them. If you suspect you may have received negligent treatment that has affected the health of your teeth and gums, you should speak to an independent dental practitioner to gain a second opinion on your treatment and talk to a specialist lawyer in our Dental Negligence Team for further advice.